We all agree that plastic frames are bold, colorful and very attractive, and they can make a remarkable fashion statement. However, metal eyeglass frames are the ultimate choice for a lot of people. If you decide to switch over your style to wearing metal frame eyeglasses, you will for sure make this your material of choice. Why are full rim metal eyeglasses becoming so popular? Metal eyeglasses are long lasting when compared to other eyeglass frames. Metal does not break or crack easily, and even when you mistakenly seat on your eyeglasses, the metal frame will always remain intact. 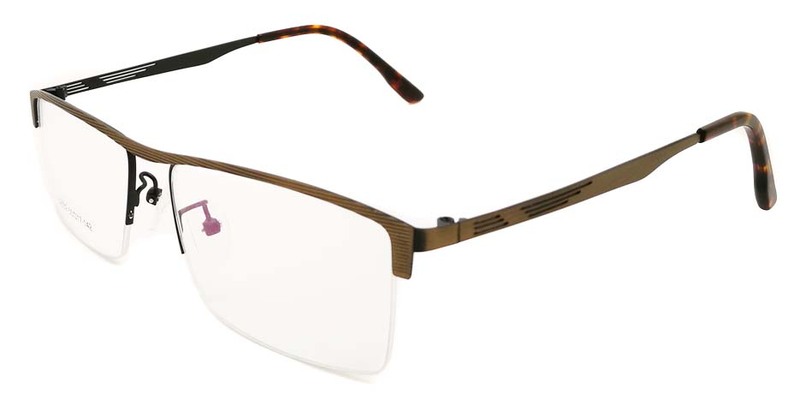 Full rim metal eyeglasses ensure the safety of the lenses and make the lenses to last longer. It is because of this fact that a lot of people prefer metal eyeglasses to any other material. Metal frame eyeglasses are designed to last for years. Despite being made of metal, they are lightweight sturdy and they cannot break easily. Heavy-weight eyewear can be cumbersome especially if you use your eyeglasses on a regular basis to do your daily activities. You might end up getting tired of them and getting rid of them. It is because of this fact that metal frame eyeglasses designers came up with innovative ways of creating lightweight metal frame eyeglasses. Normally, it is stress-free and comforting to feel like you are not wearing a frame on your face. Metal eyeglasses frame gives you this feeling. 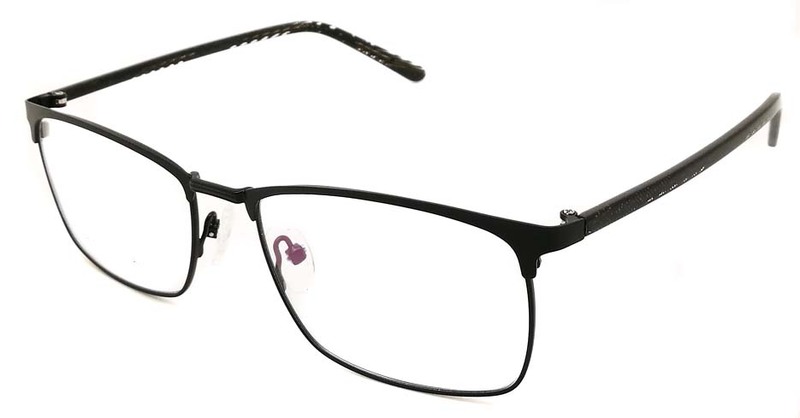 Designed to weigh just like the plastic frames, metal frames are very comfortable to wear all day long and still make you look great and trendy. Round metal eyeglasses frames are designed to fit small noses in a greater way. Individuals with smaller noses will agree that plastic frames have a tendency to move down your nose region and you have to adjust them quite often. Metal eyeglass frames feature soft and adjustable nose pads help keep your eyewear in place no matter what you are doing. 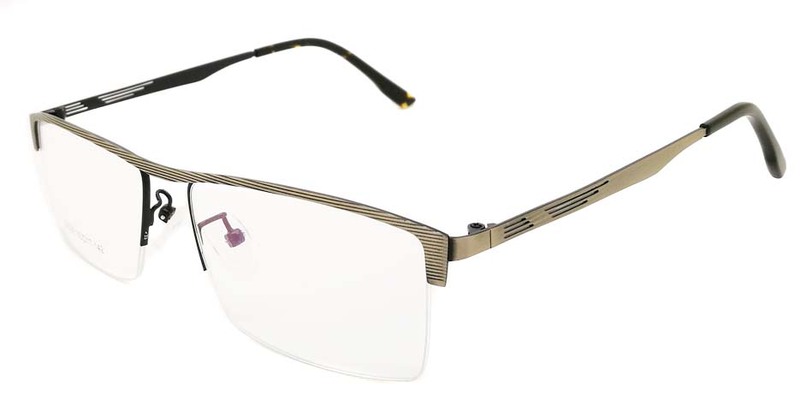 Metal eyeglasses frames look much extravagant and stylish than any other material. A good example is the green metal eyeglass frames that will enhance your looks and make you look fashionable. If you live in an area that experiences warm temperatures in the better part of the year, it is a good idea to buy metal eyeglasses because they will not be affected by extreme temperatures as is the norm with plastic frames that tend to stretch out of shape when exposed to extreme temperatures. Feel free to go through our huge catalog and find the best metal frame eyeglasses that suit your needs and will make you look elegant and fashionable.